Dixon Place to present THE ALTERNATE POSSIBILITIES... in October! Dixon Place will present The Alternate Possibilities of Our Past and Future History with Particular Regard to the Identification of the Eastern Puma and the Corps of Discovery on October 3rd, 2018, directed by Alex Tobey, and with music by Nathan Salstone (Harry Potter and the Cursed Child). More information is available at www.thealternatepossibilities.com and tickets are available here. 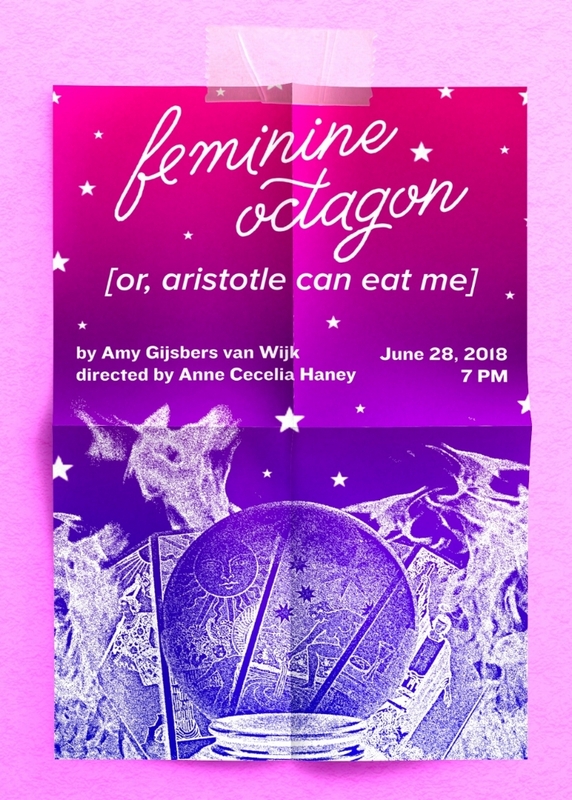 I'm grateful for the chance to be spending much of August in a developmental workshop of a new play of mine at The Flea Theater, under the direction of Kate Moore Heaney, featuring Jon Cook*, Adam Coy*, Deanna Henson, Jennifer Parkhill*, and Alexandra Slater*. I've been selected as an FGP BRB resident for summer 2018! So excited to be a Week One resident and work on this new (as of now, under wraps) project! My one-act play king's cup is going up in Bed-Stuy, Brooklyn July 28 - 29 as part of a double bill. At a college party at a liberal arts school in Tennessee, it's Terra's 21st birthday. It's Nelson's chance to prove himself. And Soma's chance to get lucky. Until there's — well. Not a betrayal. A mistake. Not a horrible disaster. Wait. Is this a nightmare? No. It's fine. Nelson has a plan — okay, it's Soma's plan — to fix everything. Okay, so that plan was suggested while on molly. But it's not crazy. What. It's not. Whatever this is, it's not crazy.